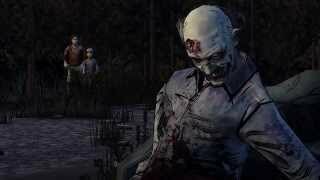 The Walking Dead: Season 2 initially begins not long after the events of the first season, with the player now controlling Clementine after the (SPOILER!) heart-breaking death of Lee that rocked players in 2012. Clementine is now travelling with Christa and Omid. But after another cruel twist (played the demo? ), we eventually rejoin the story 16 months later with Clem travelling on her own after being separated from Christa too. This season is full of new faces to figure out, along with a few from the between-seasons 400 Days DLC, but you’re not at a disadvantage at all if you haven’t played that one. We even have a central villain for the first time, excellently voiced by Micheal Madsen, portraying a truly despicable character overseeing a small community of survivors. It’s easily his darkest role since Free Willy. Clem has grown a little taller and is quite capable of defending herself against Walker attacks, although she is prone to getting her weapon stuck in their heads. Don’t expect much change in the action gameplay, with most attacks involved lining up the target reticule and hitting R1 or some button-bashing quick-time-events here and there. Other action scenes may have you sneaking around a house looking for medical supplies, or more often than not, moving through groups of Walkers, popping off headshots or dodging to the side but the risk always feels minimal thanks to the heavily scripted nature. There are some of the usual levels of walking (so, so slowly) around an area and clicking on every object prompt until the next cutscene kicks in. Thankfully, none of these levels are as prolonged and drawn out as the scenes in the motel and farm last season. Compared to the incredibly involving investigations seen in The Wolf Among Us though, the scenes in-between conversations are getting incredibly repetitive and formulaic. Something really needs to change going forwards. The branching dialogue choices are as fantastic as ever though and form the core of the experience again. With your responses you can really shape Clem’s personality. Initially it seems like a choice of being bratty, quiet or a bit cheeky. As the season progresses though, you’ll have to decide on how far to allow the violence and darkness to infect her spirit or maybe you’ll try to hold on to that slight shred of innocence that takes a merciless beating throughout the events in the game’s increasingly bleak world. Choices will also affect other survivors’ attitudes toward her. Clem’s influence on the group can feel too powerful. Considering her young age, she seems to have the biggest say on almost every matter, which doesn’t comes across as plausible at all. Towards the end of the season, the game slips a little and becomes a bickering management simulator as everyone is constantly at each other’s throats. It’s more than a little exhausting and to be honest, I was getting sick of almost every character in the game, even rock solid favourites. You’ll often be able to influence the adults to be more violent or argumentative with each other too, or you’ll try to keep the group together. Cleverly though, via the excellent writing you’ll also be able to sway a little with these decisions, so you’re not always stuck with one path for Clem. The time-pressured nature of some of the choices you must make on the fly are seriously tough and probably the only element of the series that you could compare to a video game. Sure, traditional ‘gameplay’ is minimal in The Walking Dead, but the writing is reliably superb and keeps you hooked from start to finish. Telltale have become masters at drawing compelling characters, and are wryly capable of making you like some that you may not have got on with at first. Then of course, they’ll be killed off with another perfectly timed emotional sucker punch. It’s not all misery though, there are some hugely heart-warming moments and some spoilers that I desperately want to talk about, but I’ll not ruin them for you here. As usual, you run the risk of ruining the magic by looking behind the mirror with a second playthrough, as choosing the opposites at some junctions may inevitably lead you to the same place. But we both know you’re going to fire up that second save slot the moment the credits roll on season 2. I hope the choices make a big impact next season especially given that the events of the first season really don’t seem to have made much of an impact here, which with a lead role change was admittedly going to be difficult. While I’m talking about S1, it’s odd to see Lee barely get a mention given the huge father figure he was for Clem. The choices you make over the course of the season feel huge though and there’s a genuine urgency to see how some of them turn out. From a technical standpoint, it made a nice change to not experience a single crash or game-breaking glitch during my playthrough in a Telltale game. That’s not to say others have been so lucky, one colleague playing the Xbox 360 version told me that his playthrough became so broken he gave up and picked the game up on Steam instead. The trademark rough edges are of course still present, such as stuttering transitions/animations and prolonged black loading screens where the sound comes in a few seconds before the picture with it taking a while to sync up again. Pressing the pause button still feels like watching the game applying the brakes before eventually juddering to a halt. But compared with Telltale’s usual output, this is their smoothest game yet – that’s something of a backhanded comment though really. Facial animations are still great, but the lack of imagination for environments is getting a bit old now. There seems to be less ‘action’ than usual, but the conversations still feel like you’re genuinely affecting the game’s events. Too much arguing though. Enjoyed better as a whole, rather than the original episodic model as the events take an age to unfold. Better! No crashes this time (for me at least), but there are still plenty of rough edges. A slight stumble here and the The Wolf Among Us has beaten the Walking Dead Season 2 at its own game. Traditional gameplay is stripped down to the bare minimum in favour of choices. Some of these are fantastic in their unforgiving nature and the journey you’ll take Clem on is full of drama and heart-break. The new cast are a miserable bunch of bickering bores though that will make you pine for the fallen friends of Season 1. 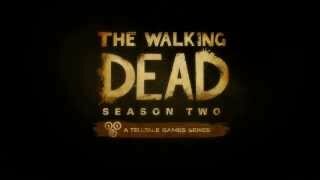 Walking Dead: Season 2 is ranked #711 out of 1436 total reviewed games. It is ranked #76 out of 158 games reviewed in 2013.